This Spyderco Ayoob was recently acquired from a collection. There are a few light scratches along the handle, but the knife is in great condition and functions flawlessly. Includes original packaging. Pictured is the actual knife for sale. 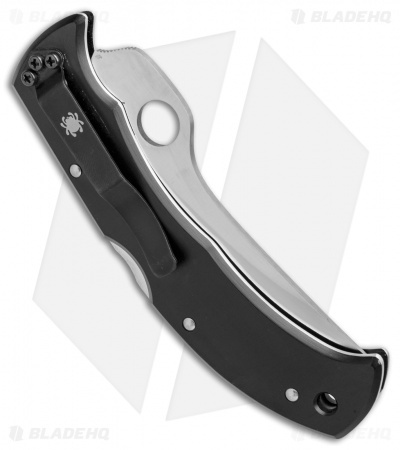 The Spyderco Masaad Ayoob C60S features a fully serrated VG-10 stainless steel blade. 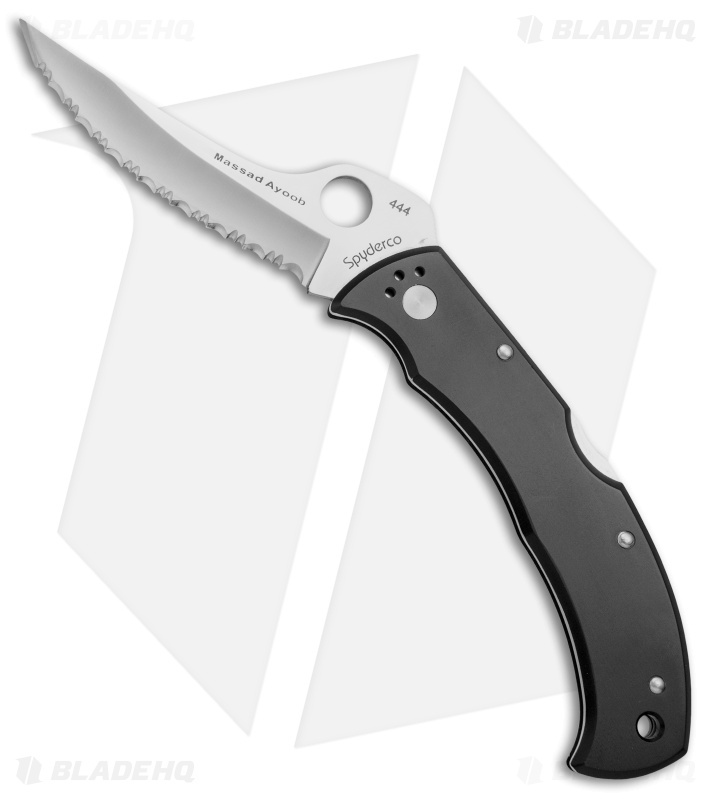 It has a notably strong lock-back with a David Boye style release lever that helps ensure safe lock-up. 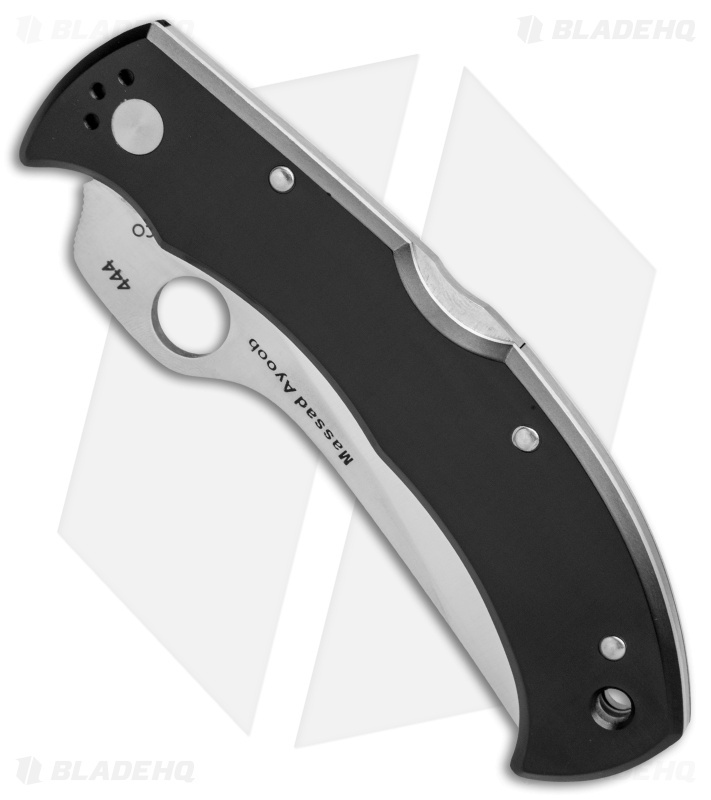 The black aluminum handle has an ergonomic thumb rest at the rear of the blade and a steel pocket clip for right/left hand tip-down carry.